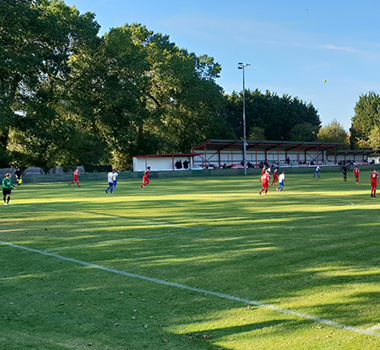 Northwood recovered from being reduced to ten men for the second game running as they came from behind to rescue a deserved point against Ware at a sun-drenched Chestnut Avenue. 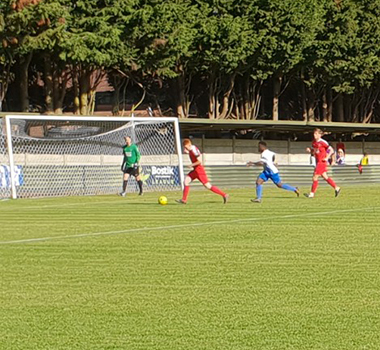 Manager Dean Barker was keen to freshen things up following the heavy midweek defeat to Hayes & Yeading and there were some new faces on show as Woods looked to put that reverse behind them. 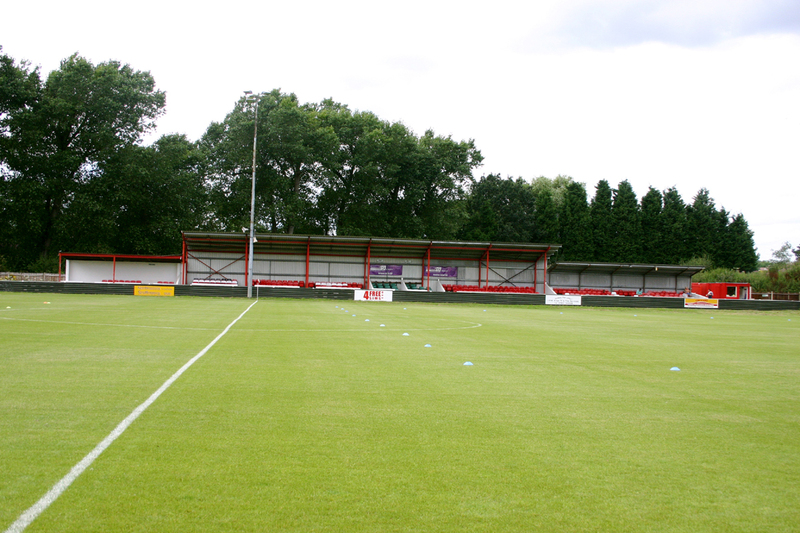 Youngster Alex Morgan arrived from Boreham Wood to partner James Ewington up front while Stefan Powell switched from Beaconsfield Town to replace Hakim Nyariki in midfield. Another new arrival in the form of Zaied Sabti replaced Kier Dickson on the left flank following his move from Harrow Borough. And Emmanuel Melford-Rowe returned for his first game in a month, replacing Jorome Slew on the right-hand side following the latter’s return to Wealdstone with the completion of his two month loan deal. 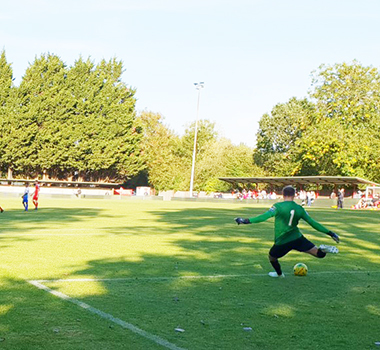 Woods were given an early scare as Ben Hart’s intended far post cross almost caught out goalkeeper Luke Sheldrick who had to parry the ball to prevent it crossing the line before safely gathering. 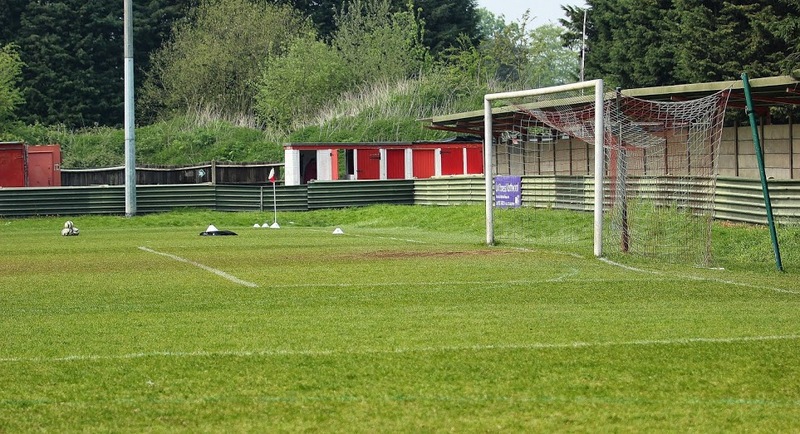 James Ewington was soon worrying the Ware backline with his intelligent movement and his cross-shot fell to Melford-Rowe in a great position but his shot failed to test Ware goalkeeper Anthony Page. The lively Hart was looking a threat for the visitors and he wasn’t far away with a long range effort which narrowly cleared Woods crossbar. Northwood had a great chance to open the scoring as more good work from Ewington set up Zabti who saw his shot saved by Page with the rebound falling nicely for Morgan, but his close range shot was blocked on the line. Having survived the scare, Ware proceeded to create a series of openings with dangerous crosses into the box from Dominique Njoya and Hart just lacking the final touch from a blue shirt while Albert Adu had a shot blocked following a strong run from deep. Woods withstood the Ware pressure and were soon back on the attack as Ewington latched onto Sam Jenkins’ long ball from the back to fire a shot across the face of goal and behind for a corner. The Blues reminded Northwood of their attacking threat as both Hart and Adu went close as they arrived late with a volley and header respectively following corners. 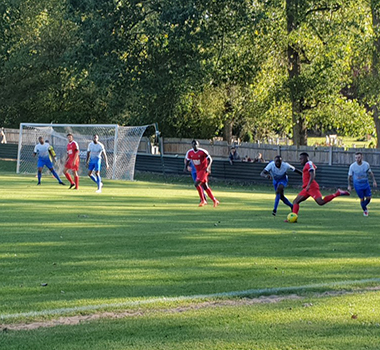 But it was Northwood who opened the scoring on 37 minutes as Matt Cooper, enjoying another steady game at left-back, began the move which saw Melford-Rowe set up Ewington who calmly rolled the ball past the advancing Page to maintain his impressive scoring record with his 13th of the season. 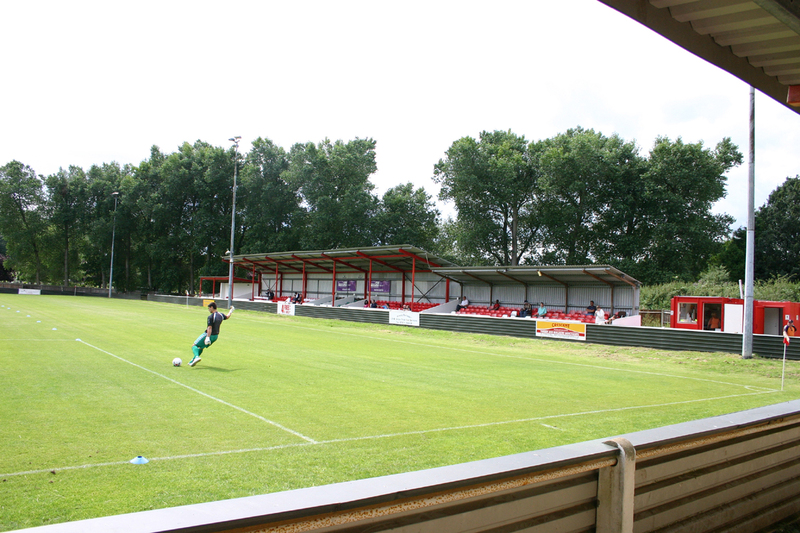 Junior Brown wasn’t far away with a half-volley from the edge of the box as Ware looked for an early reply but the visitors went close to following further behind, Page on hand to deflect over a shot from Morgan following a storming run from the Northwood new boy. Woods continued to search for a second goal before the break and when Ewington was released down the left channel by Cooper the crowd expected to see the net bulge but the striker was forced wide by Page and the opportunity was gone. But the action switched to the other with drama in the final minute of an entertaining opening period, Jenkins being adjudged to have impeded Adu following Hart’s ball into the box, Sheldrick diving full length to his right to keep out Adu’s penalty-kick. Ware came out strongly after the break as they looked to make amends for their missed opportunity, Jack Daveney trying his luck from distance before Adu threatened from close range. At the other end, Cameron Ferguson’s lofted free-kick found the head of Carl Pearce but is far post header was wide of the mark. Miguel Matos de Lopes was introduced for Sabti on 55 minutes after the Northwood debutant succumbed to an earlier blow to the knee, ending an encouraging performance. 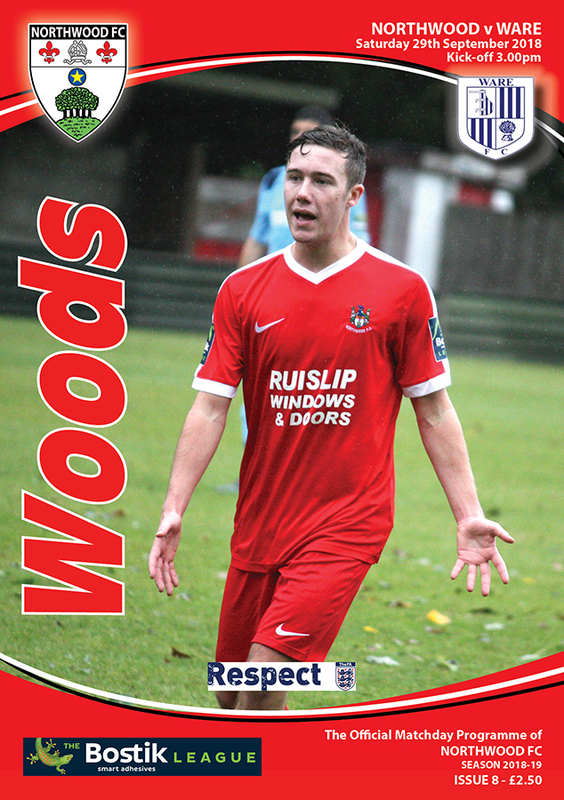 And Woods were forced to rethink their strategy a minute later as the unfortunate Melford-Rowe received his marching orders for two yellow cards issued in quick succession. 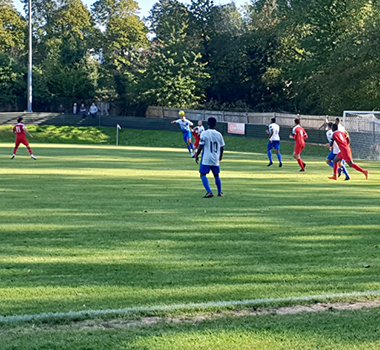 Northwood’s frustrations were compounded by conceding an equalising goal on 63 minutes as Hart converted Adu’s far post cross after the hosts should have cleared their lines. 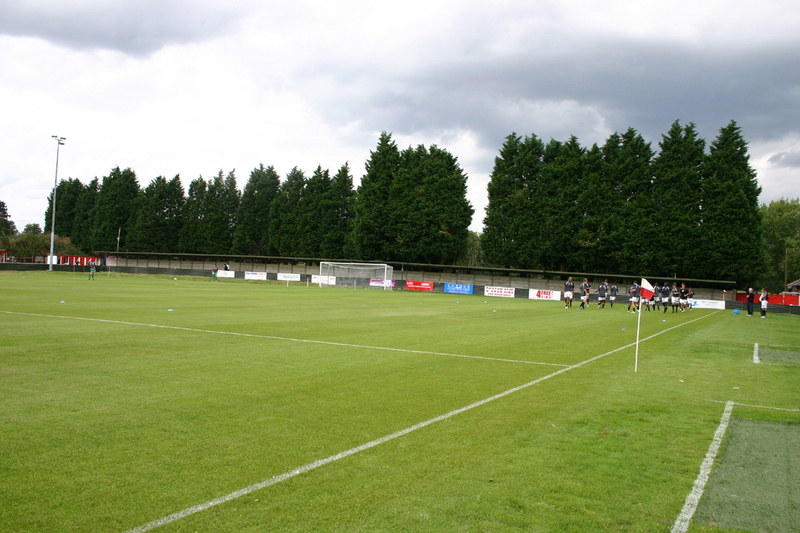 Woods had a penalty appeal of their own turned down as Ewington appeared to be hauled to the ground and Ware were soon back on the attack was they looked to take further advantage of their numerical superiority, Adu aiming a free-header at Sheldrick following Hart’s cross. 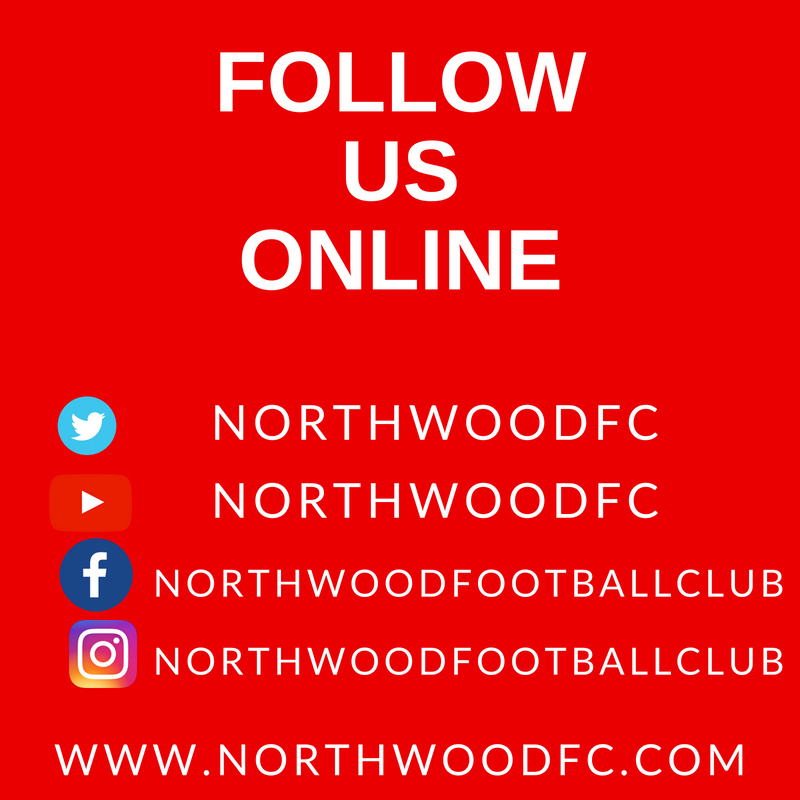 Northwood made a change on 67 minutes, no doubt with the memory of the midweek drubbing fresh in their minds, as they looked to shore things up by switching to a back five; new signing from Barton Rovers, centre-back Dan Newton coming into defence with striker Morgan making way. 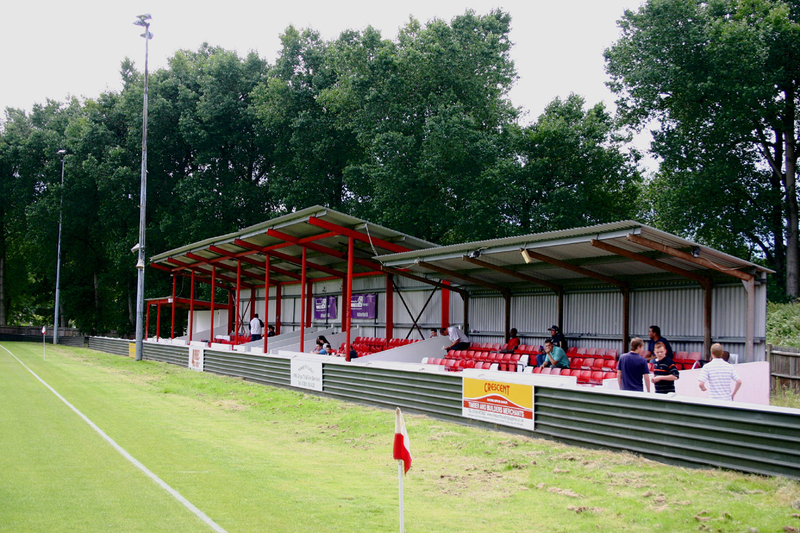 And Northwood were in control of the situation before Ware were awarded their second penalty of the afternoon as keeper Sheldrick was caught in no-man’s land and impeded Leigh Rose as the striker looked to take the ball round the Woods stopper who received a caution; Brown taking over the penalty taking responsibility and making no mistake to give Ware a 77th minute lead. The game seemed to be ebbing away from Northwood, with no real threats at either end. But all that changed with the introduction of substitute Kweku Lucan, who replaced Ferguson on 85 minutes. The fresh legs of Lucan immediately made inroads with a surging run down the right flank before he played a beautifully weighted pass into the path of Ewington, who made no mistake for the equaliser with five minutes left on the clock. Woods breathed a huge sigh of relief but they had a nervous moment with the clock ticking down as Rose headed wide from a Njoya cross. But there were no further scares for Northwood as they made sure of their share of the spoils which was the least they deserved for a spirited performance. Match highlights are on WoodsTV here.